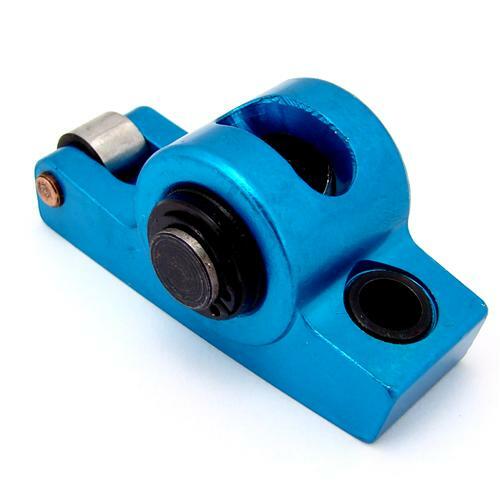 We no longer carry the 1979-95 Mustang 1.6 Ratio 3/8" Stud Mount Roller Rocker Arms For Small Block Ford. 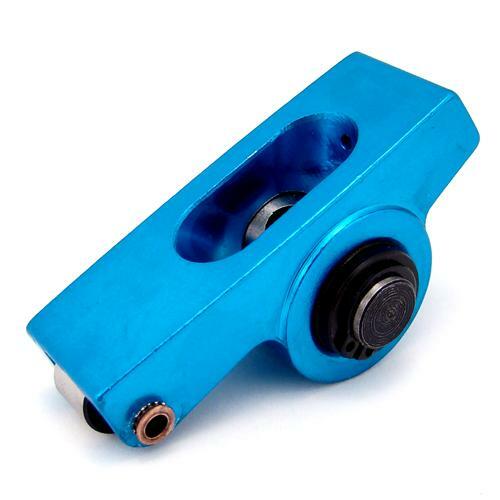 These Proform extruded aluminum roller rocker arms will help rid your engine of internal friction. They feature a race-proven, full needle-bearing fulcrum and roller tip. And they not only unleash horsepower, but they also lengthen valvetrain component life and reduce wear and tear on valve stem tips. 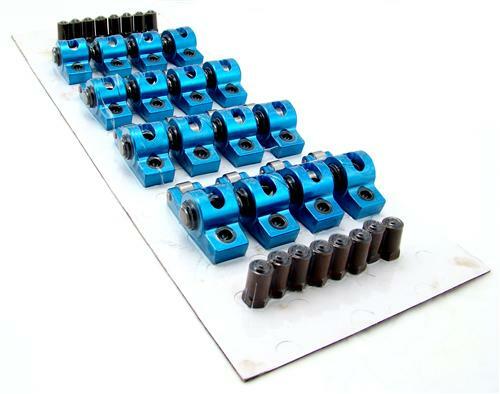 These rockers are precision-machined to ensure consistency and ratio accuracy, and they have a great looking blue anodized finish. 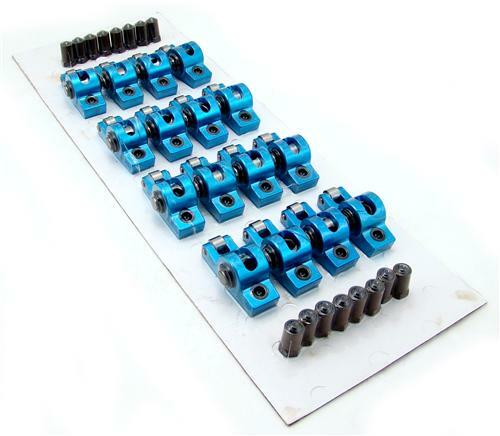 These rocker arms must be used with screw-in studs, guide plates and hardened pushrods. Stud-mounted systems have been widely used by OEMs and are popular in street-performance applications for two basic reasons--cost and ease of adjustability. Stud-mounted systems use fewer parts and allow correct valvetrain geometry and lifter preload to be adjusted with pushrod length. The rocker is slipped over the stud, and its tip is allowed to rest on the tip of the valve stem. The pushrod side of the rocker can then be raised or lowered until correct valvetrain geometry is achieved, which is typically done through the use of an adjustable pushrod. If you’ve ever wondered what it takes to install heads and the needed accessories for your pushrod based Mustang; you’re in luck! 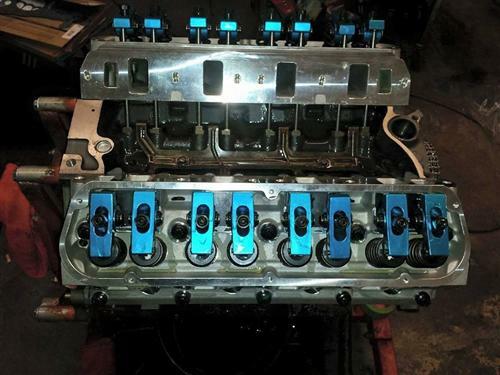 In this video Landan shows you what it takes to finish off your newly assembled short block or stock re build with a set of cylinder heads and the needed components. When it comes to cylinder heads, there is without a doubt, many, many choices. 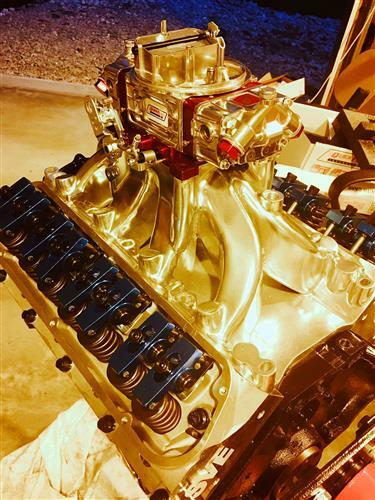 From our in house SVE heads, Trick Flow, Edelbrock, Ford Racing, and AFR, there is several choices to choose from to fit your build. Finishing off the core valve train components, are pushrods and lifters. Hydraulic roller and flat tappet lifters will be available from Comp Cams and Ford Racing. Multiple pushrod kits are available ranging from the stock length of 6.272” to 6.700”. 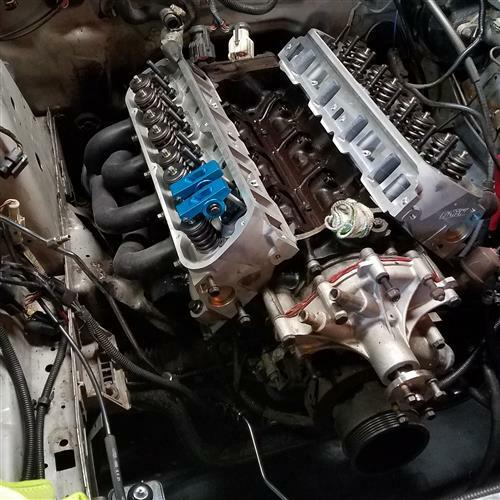 Don’t forget to top off your new cylinder heads with a set of valve covers and valve cover gaskets. 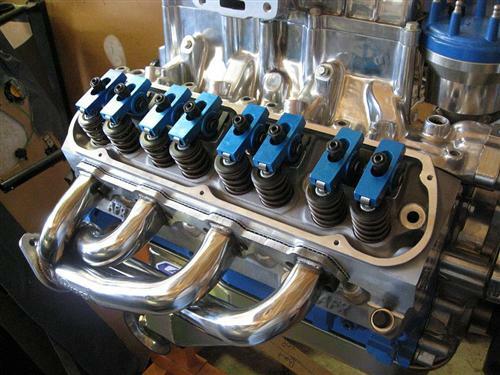 We offer several valve covers to match whatever engine theme you are going for.